I can't get enough of ManGlaze. I just love their stuff. The matte finishes rock but when you throw on a top coat, it is absolutely fantastic. Continuing with my daily Halloween posts, I did a design that my co-workers kids found online for me to recreate. Not sure if Tiffany or Emily found this one but it is really classy, cute and was simple. 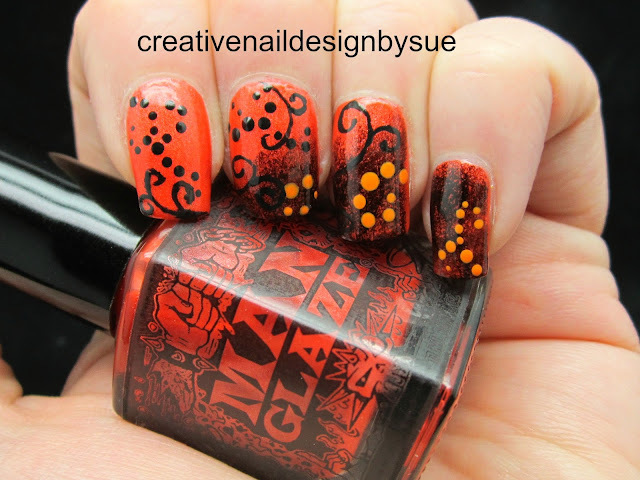 I would have been happy with the design had I used another polish but with ManGlaze......It became a home run!!!! I agree, this design is gorgeous! The creeping vines make my life. This is awesome sue! Love it! I'm going bananas over this! ♥♥♥ it! What an amazing polish, great color. Love everything about this design! 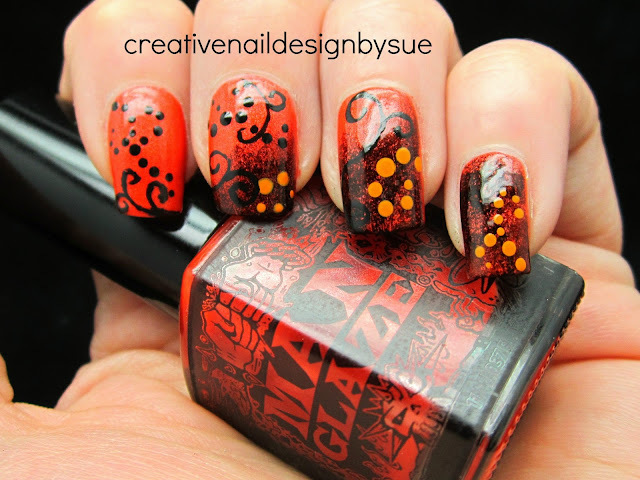 I really like this holloween theme nail!! !